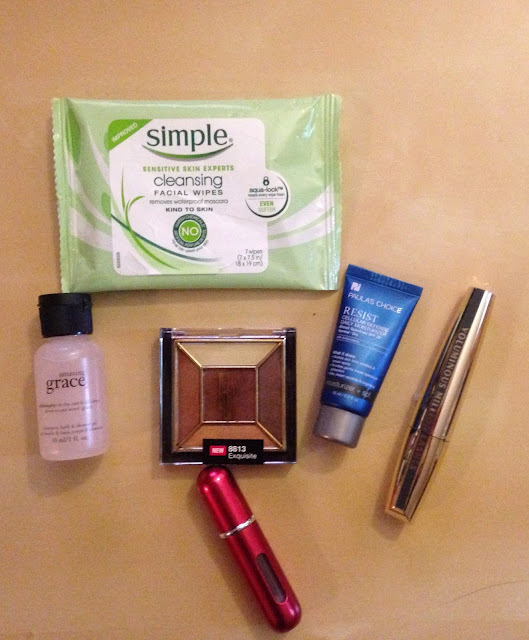 Beauty Under 10 | Beauty should only take 10 minutes Summer Must Haves for every summer! Summer Must Haves for every summer! These simple essentials will get you from the beach to a summer night on the town. They are lightweight enough to be tossed into a purse or beach bag – taking them everywhere you go, perfect for hot summer days and nights. use this lightweight moisturizer with SPF, soothing antioxidants and nourishing plant oils to keep skin thoroughly hydrated, soft and protected from UV rays. don’t leave home without it! This mascara can build lashes up to 5X their natural thickness. The Brush thickens lashes evenly and smoothly, leaving them soft without flaking, smudging or clumps. Apply some face moisturizer and add some mascara to the lashes for a natural look for the day. After a day at the pool or even at the office, "freshen up" with TRAVALO (see more on Travalo below). Carry it from home to the pool to the lounge for margarita’s. Available at Shopper's Drug Mart in Canada. During a busy day whether it is work or leisure, you will need a quick refresher! Here are a few great ideas to make that process a little more simple and little bit faster! A head to toe body wash by Philosophy that smells amazing and can also be used as a shampoo, this makes taking a quick shower after the beach or the gym easy and leaves you smelling AMAZING! My Favorite! For a quick refresher throughout the hot days, keep a small pack of face wipes in your purse and you can easily wipe down your face, underarms and (for me)feet after a hot summer day. Put on a subtle neutral eye shadow for the day and add a little extra eyeshadow for the night, go all glam for a little summer wow. Finish with your VOLUMINOUS MASCARA! Travalo is a refillable perfume spray, it is Ready-to-use, convenient and elegant. Excel is the 5ml aluminum style Travalo. 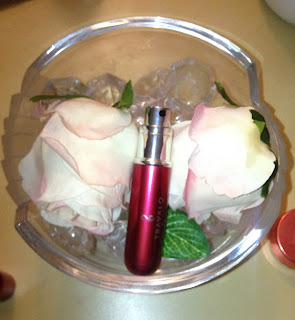 This model is covered with aluminum with a window in the front to view the amount of perfume inside of the Travalo. 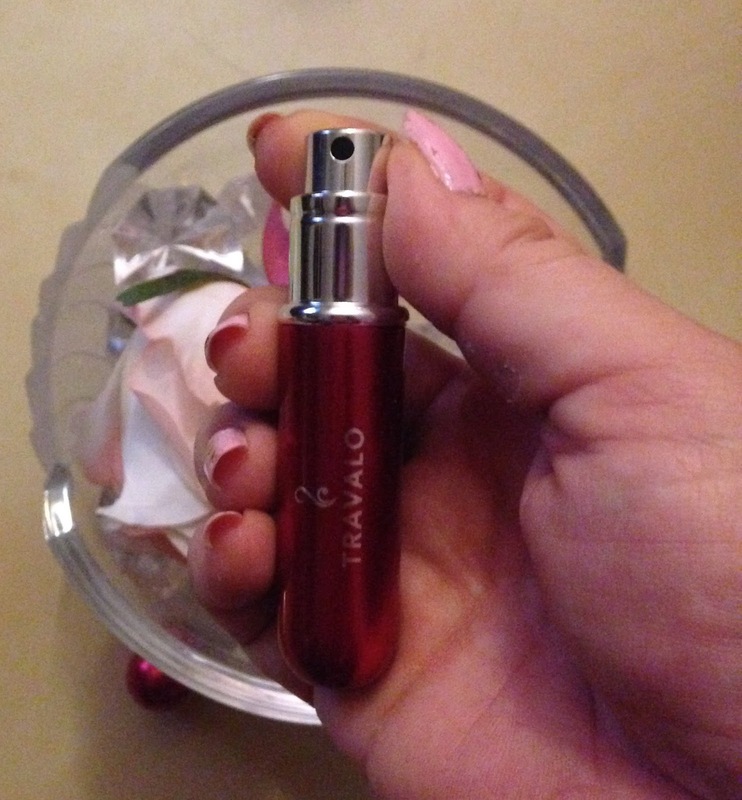 This Travalo has a durable spray head with an easy pumping system and it can hold 65 sprays - perfect for a longer trip or a more frequent fragrance user. 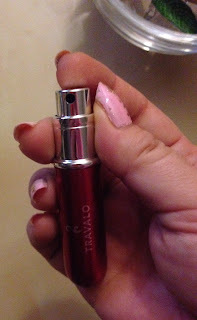 Check out us.travalo.com for more information and classic styles and Travalo is available at Shoppers Drug Mart in Canada.